Greetings from New York! 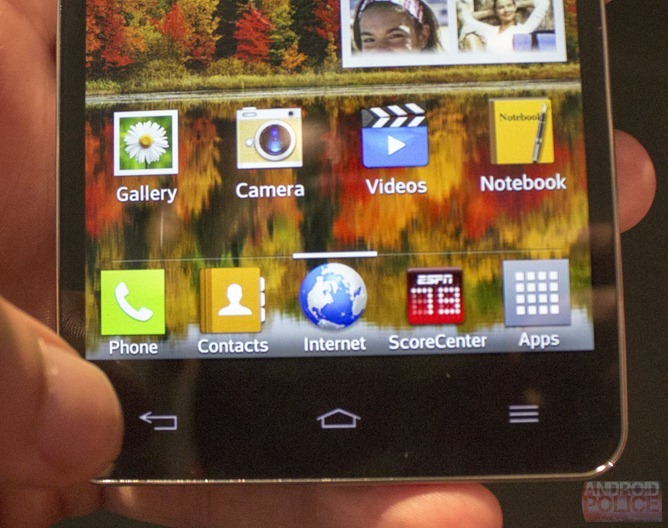 LG showed off the Optimus G today, their new monster of a phone. 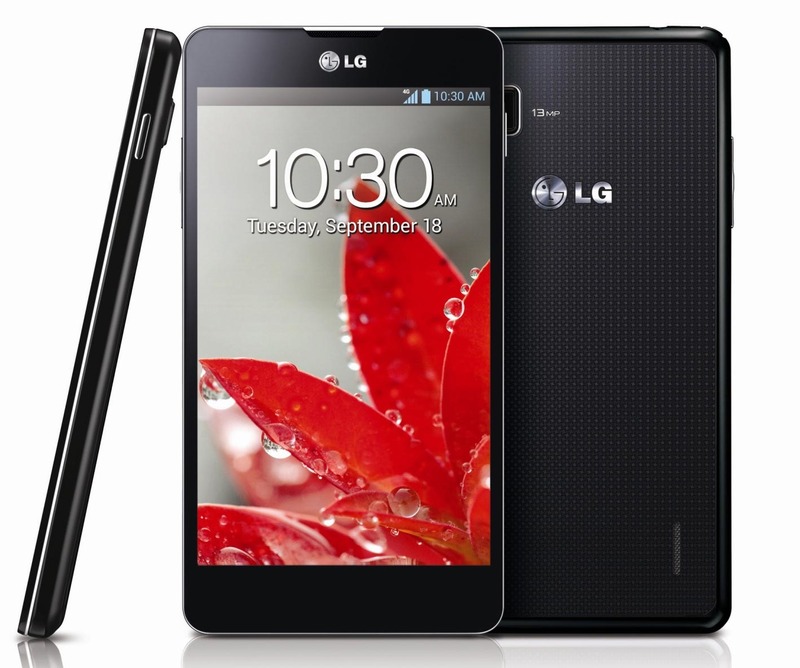 If you haven’t heard, it’s the first phone with a 1.5Ghz quad-core Snapdragon S4 Pro processor. Qualcomm's dual-core chips can hold their own against the quad-core Nvidia Tegra 3, so this should be one of the fastest phones available. 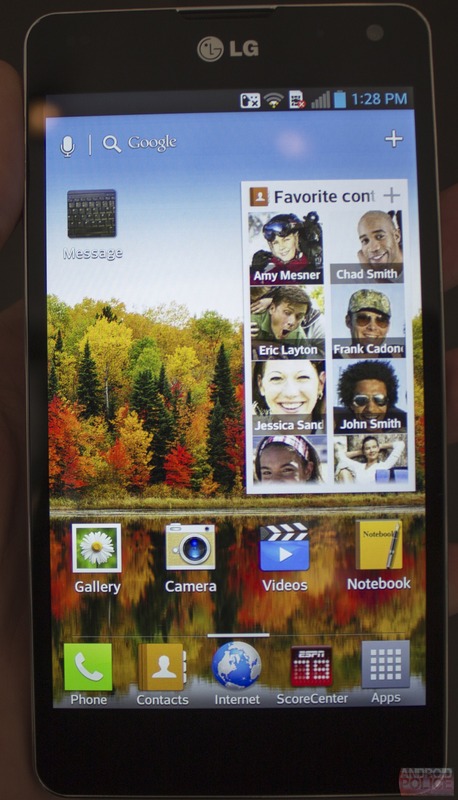 It’s also one of the first phones to have a next-gen Adreno 320 GPU, which, again, means it should be really fast. I got to play around with one for a few minutes, and yes, the real world performance lives up to the specs. Everything is blazingly fast, and animations are buttery-smooth. The speed allows them to do some pretty cool things, like beam a video to a TV while using the phone for something else (dongle required) or mirror a presentation while the phone displays thumbnails, notes, and a toolbar. The picture on the left is showing off the memo ability. If you press both volume buttons at once, you can draw on the screen, and have it persist above the UI until you dismiss it. I would have loved to try some benchmarks or harder apps, but the demos weren't hooked up to WiFi and had no SIMs. The Optimus G flexes even more processing muscle during a video. 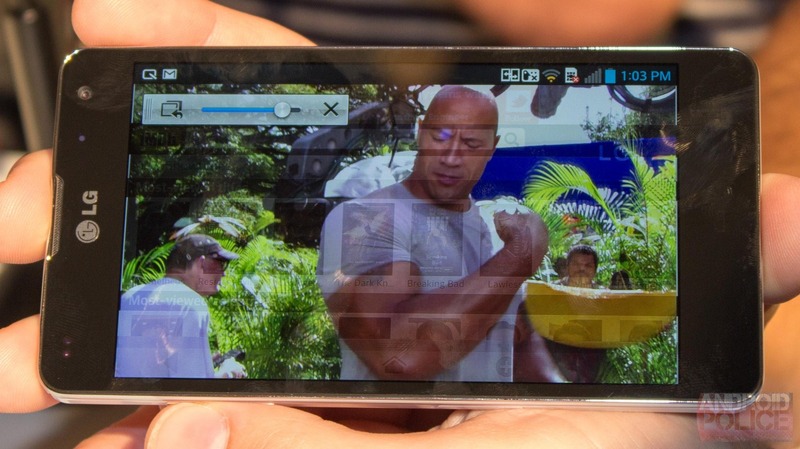 You can use pinch zoom on a live video, or even overlay a transparent browser over it. The slider at the top adjusts the transparency to your liking. I don't know how useful any of this will ultimately be, but it's an impressive display of power. 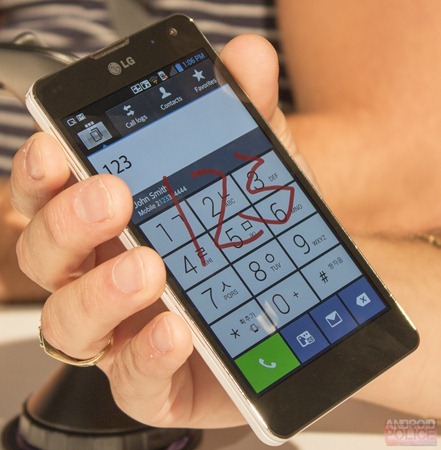 LG's skin is full of swoopy effects that seem like they would slow other phones to a crawl. Swiping on the home screen makes the icons fly away from the screen, and the unlock animation has a crazy fisheye effect. 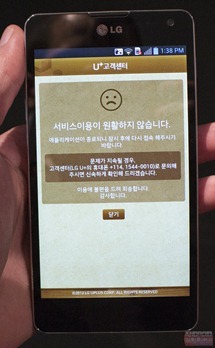 In general, the skin seems very "heavy," but the phone can handle it all easily. By the way, the version LG is showing off today is the Korean variant of the G, as evidenced by the pull out TV antenna and some Korean-only apps. 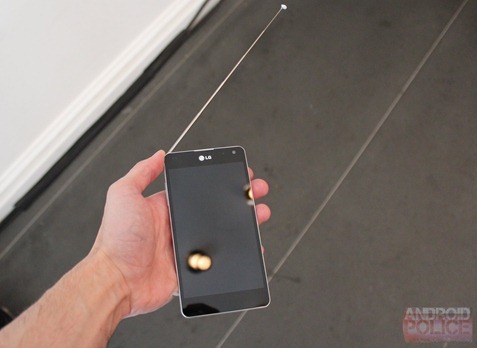 LG assures me the antenna won't make it over here. No, those aren't on-screen buttons, they are old school, painted-on buttons, and they still included menu. That's depressing. 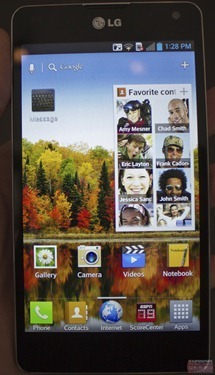 The Optimus G, by the way, runs Ice Cream Sandwich. The back is a smooth glass surface, and has a decent amount of grip to it. Under the glass is a nice star pattern. The build quality is ok. The plastic frame doesn't feel cheap, but it's not super high-quality either. The construction seemed pretty sturdy during my limited time with it. 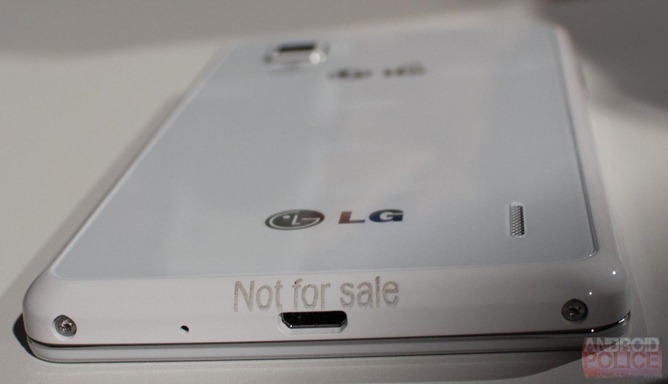 On the back, you see the 13MP camera lens and the rear speaker. 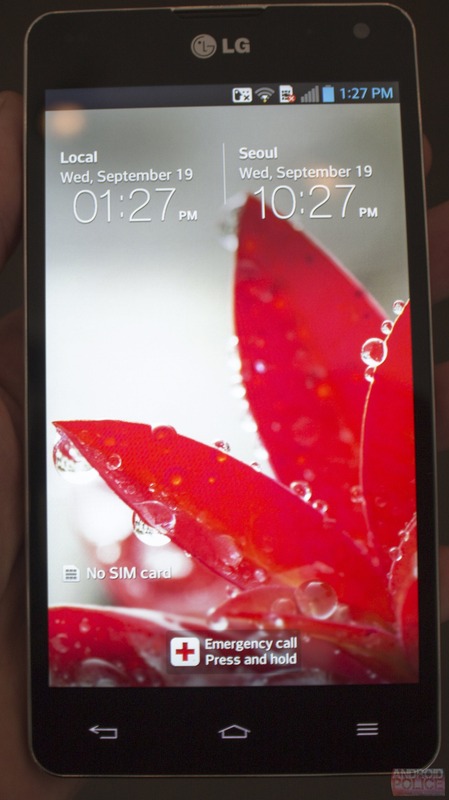 The side has the volume rockers and SIM slot cover. Again, remember this is the Korean version, so expect the logos back here to be different. The camera has a voice activation feature. You can say the command, and it will snap a picture. The example given was that this would be useful for self portraits, where finding the shutter button can be difficult. The voice command for the camera? "Cheese." The bottom features the microUSB port, microphone, and 2 screws. Here you can see the silver band around the outside, which goes all the way around the phone. It's a nice change over the usual thick chrome band. 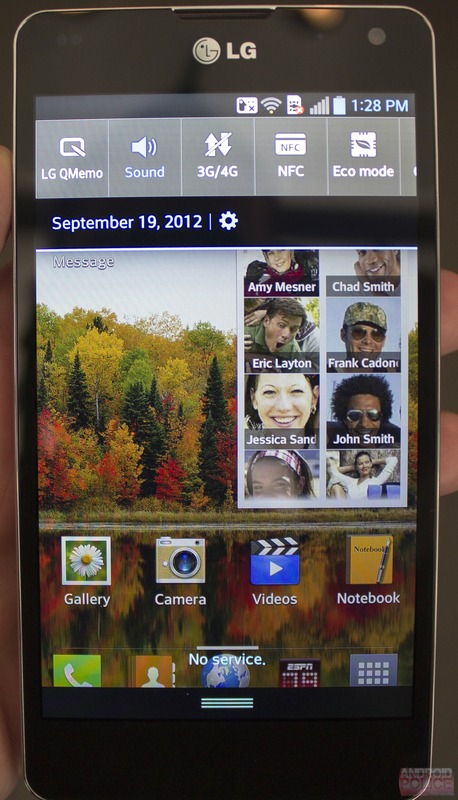 The skin is a dead-ringer for TouchWiz. Everything is candy-coated, and they even stole Samsung's notification panel power shortcuts. Also, like Samsung, LG likes to "brand" every minor software feature they can think of with a silly name. I've skipped them for the sake of everyone's sanity. LG added swoopy animations to just about everything, and it makes the phone seem very powerful. I'll have to spend some more time with it to see if it gets annoying. More importantly, though, they don't seem to slow down navigation from one thing to another. I've got high hopes. That’s it so far for LG's spec powerhouse. 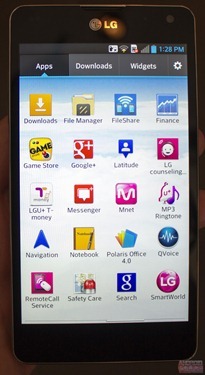 LG says they should be out in the US in Q4. You’ll know more when we do.